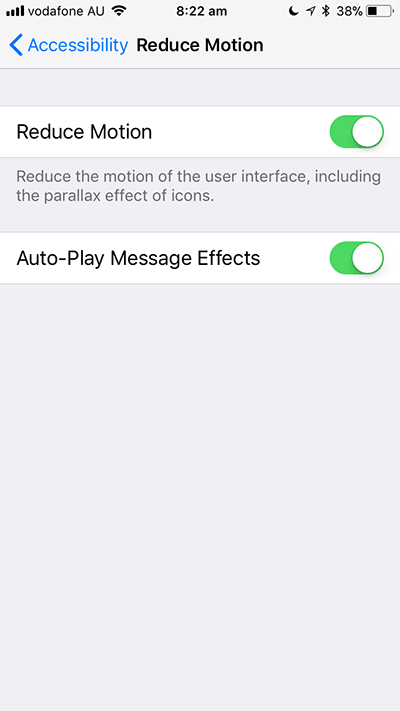 Apple has added more animation effects in the new iOS 11 including the home screen wall paper zooming in and out when you return to that screen and also what Apple calls the parallax effect of icons. It can leave you a little queasy in your stomach. The effect is reverted back to a less obtrusive fade!